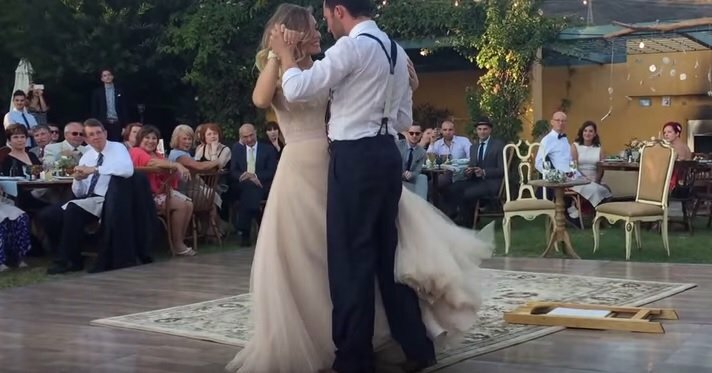 This wedding dance will leave you completely baffled. A pair of newly weds have left people all over the world scratching their heads. Justin Willman and Jillian Sipkins pull off what appears to be magic at the end of their opening dance. Justin is left floating in mid-air before rising to his feet again. Justin gave nothing away after the dance, just saying, "Our big move at the end was accomplished with a mix of magic and a few thousand sit-ups." How did your first dance go? Did you take lessons or just wing it?